Petite bourgeoisie (pengucapan bahasa Prancis: [pətit buʁʒwazi]), juga petty bourgeoisie (artinya burjois kecil), adalah sebuah istilah Prancis (terkadang ejekan) yang merujuk kepada kelas sosial yang terdiri dari kaum petani semi-otonom dan pedagang skala kecil yang pendirian ideologi politik-ekonominya berkali-kali mengalami stabilitas sosioekonomi seperti halnya haute bourgeoisie (burjois tingkat tinggi), yang merupakan pengidentifikasian diri dari kalangan petite bourgeoisie, dan meniru moralitas burjois. Istilah tersebut adalah istilah politik-ekonomi, dan rujukan dari materialisme sejarah. ... Their socialization seems to have been achieved in subcultures freed from immediate economic compulsion, in which the traditions of bourgeois morality and their petit-bourgeois derivatives have lost their function. Andrews, G. J. and Phillips D R (2005) Petit Bourgeois healthcare? The big small-business of private complementary medical practice Complementary Therapies in Clinical Practice 11, 87-104. F. Bechhofer and B. Elliott, Persistence and change the petit bourgeoisie in the industrial society, Eur J Soc xv 11 (1976), pp. 74–79. B. Elliott and G. McCrone, What else does someone with capital do?, New Soc 31 (1979), pp. 512–513. F. Bechhofer and B. Elliott, The petite Bourgeoisie comparative studies of an uneasy stratum, Macmillan, London (1981). R. Scase and R. Goffee, The real world of the small business owner, Croom Helm, London (1981). D.R. Phillips and J. Vincent, Petit Bourgeois Care private residential care for the elderly, Policy Politics 14 (1986) (2), pp. 189–208. Geoffrey Crossick and Heinz-Gerhard Haupt, The Petite Bourgeoisie in Europe 1780-1914. Routledge. 1998. 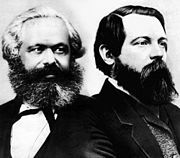 "Petite bourgeoisie" at the Encyclopedia of Marxism . Halaman ini terakhir diubah pada 7 Februari 2019, pukul 18.56.